As many of you know, last August, Gomes was whisked away to a small town near St. Helena, CA for undisclosed reasons. He has spent the past seven months in a private institute with others who share his condition. Not much has been said publically about his time there. While initial news of Gomes' departure was frightening for those who know Gomes well, most accounts indicate he was in good hands. A recent institute publication promised a culture of discovery and support that would eventually lead to the management of a better life. Many rate the staff as top notch - an initial review of the institute's records show no reports of harassment or abuse. The facilities are said to have a cafeteria, gymnasium, and even a pool for Gomes' enjoyment. In addition, social interaction likely helped Gomes through such a tough time. Sadly, these may be the only details available - we may never understand the extent of Gomes' condition or learn more details of his experiences over the last few months. I visited with Gomes this past weekend and he was in good spirits. One day, he could be far enough along to fully integrate with society. 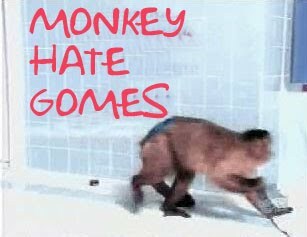 It is with that that I am pleased to announce that Gomes will be rejoining the MHG podcast, effective immediately. Gomes is currently finishing his final week away before given an extended leave. Several reports indicate that Gomes will be available, on a limited basis, for activities during the next four months. To celebrate Gomes' progress to date, MHG will be releasing a full-length podcast within the next day. Stay tuned for several more releases, including Gomes himself, chronicling the spring and summer seasons.